Drumroll please... Introducing our New Music Teacher! The Peace of Christ be with you. 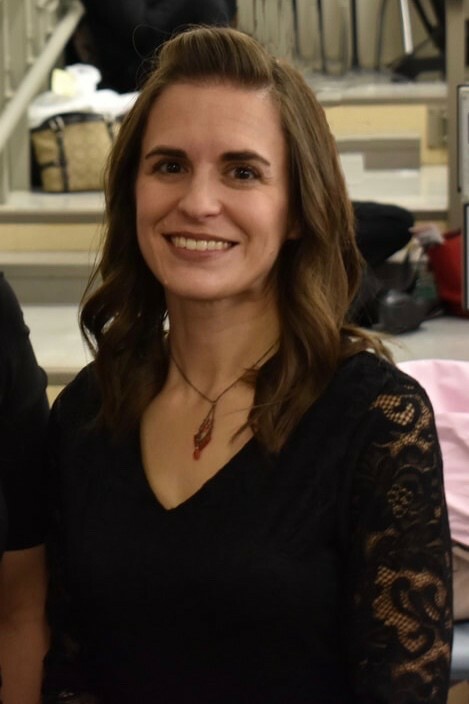 If it wasn’t Lent, I think I would be bursting into the Hallelujah Chorus, as I tell you yet more great news for our school: Father John V. Doyle School has hired a new in-school music teacher for the 2019-2020 academic year, Mrs. Heather Skidds! Heather has a Bachelor of Music in Music Education from the Crane School of Music in Potsdam, NY where she studied voice and music education, and was Class Valedictorian. She also holds a Master of Arts in Liturgical Music from St. John’s University in Collegeville, MN where she studied voice, choral conducting and organ. Mrs. Skidds currently serves as the Associate Director of Music at Christ the King Church in Kingston, RI, and is also the Director of the North Kingstown Community Chorus, where she conducts both an adult choir and a youth choir. Heather directs the school choir this year at Msgr. Clarke School in Wakefield, and for the past 8 years has been the Music Teacher at Little Red Hen School in East Greenwich (she will be finishing up with those two schools at the end of the school year to come and teach at Father Doyle). Heather has performed for many years as a church musician, soprano soloist, choir director, pianist, organist and teacher. She also plays the trombone and handbells. She lives in Exeter with her husband and two children. I am also greatly looking forward to working with Mrs. Skidds next year, and as a guitar player, I’m looking forward to hopefully playing music with her. Mr. Kevin Peloquin, our new incoming Principal, also plays the guitar if I remember correctly, so maybe he can join in the band as well! May St. Cecilia, patron saint of musicians, bless Heather and our music program at Father John V. Doyle School. On that “good note,” may all of you have a restful and fun filled school vacation, and remember to keep “singing the praises” of our school to everyone you meet!